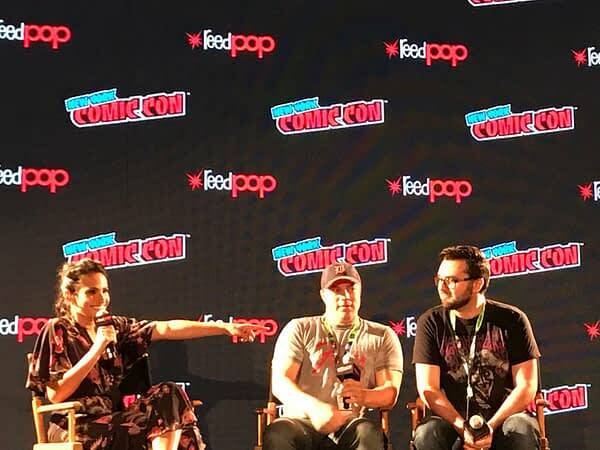 This year’s DC Spotlight on Geoff Johns at New York Comic Con did its best to offers fans of DC Comics a look into the future of certain DC TV shows on the DC Universe streaming service. 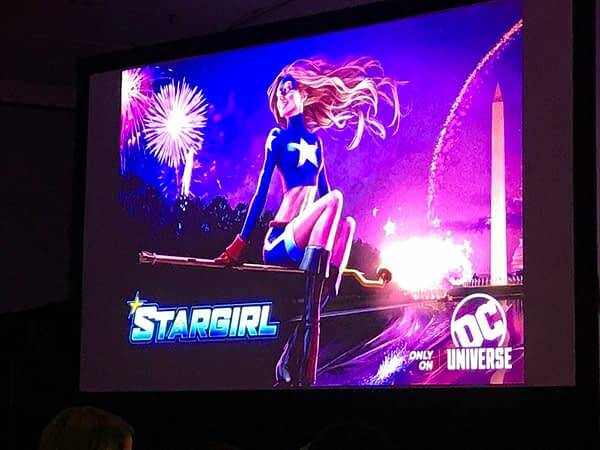 With Titans debuting shortly and Geoff Johns personally overseeing the production of Stargirl, the comic book creator had plenty to say on both. With respect to Titans, Johns said that we’ll be seeing Robin’s journey to becoming Nightwing, because he’d love to see a live-action Nightwing (who wouldn’t). With regards to Stargirl, Johns made sure to emphasize that although there are going to be a bunch of Justice Society members (though he didn’t say who), the story focuses primarily on Stargirl, and how she’s what kickstarts other legacy heroes. Who knows, maybe, just maybe, that also involves appearances by fan-favorites like Wally West. Only time will tell. 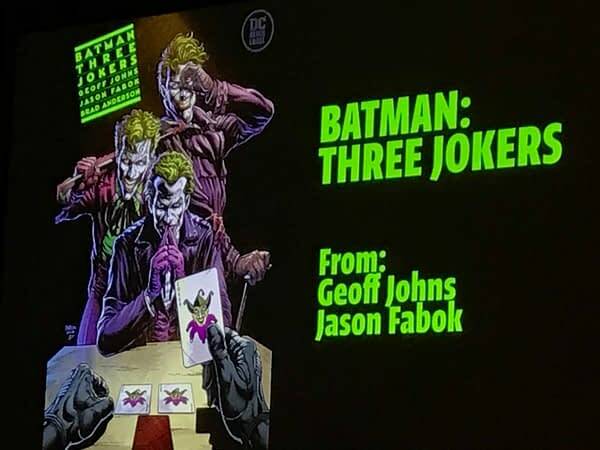 Though Johns continued to discuss a little of his work on Aquaman comics and his upcoming Shazam comic, after which artist Jason Fabok appeared on stage, he was primarily concerned with talking about his upcoming work Batman: Three Jokers. 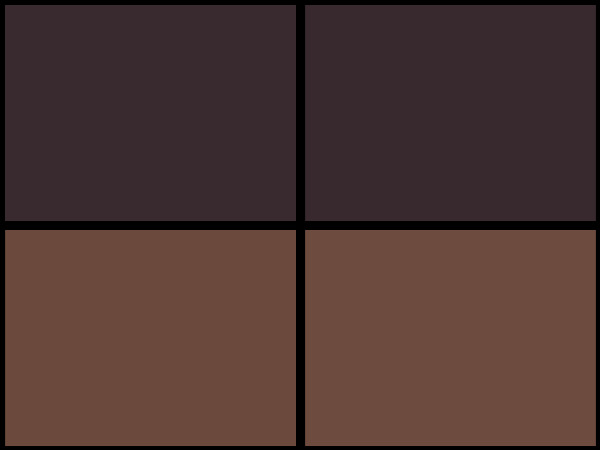 He and Fabok offered plenty of teases, including some images to make the audience hungry for more, but revealed nothing to spoilery. Johns finally closed with a brief mention of Doomsday Clock, along with a couple pictures of covers for issue 10. 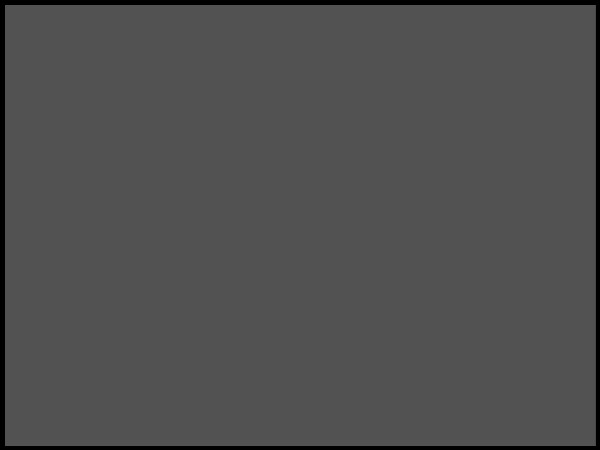 All in all, it was a fairly informative panel and you can rest assured that DC Comics will be dropping plenty more news throughout the weekend.